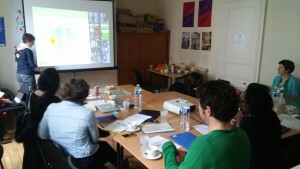 The first Annual Regional Workshop in 2015 was held in Nantes on the 30th and 31st of March. During this workshop all northern and western National Focal Points attended to discuss TSG and learn from each other’s experiences. The following countries attended the workshop in Nantes: Austria, France, Germany, Lithuania, Netherlands and United Kingdom. A key part of this year’s workshops is TSG2.0. All new features of the website will be demonstrated and discussed during these regional workshops. More information about this will follow. On 23rd and 24th of April the next European Regional Workshop will be held in Rome for the Southern partners. After that the Central Eastern partners will go to the workshop in Brno on the 29th and 30th of April.